Mayurakshi is a hard hitting drama about our lives and the different journeys that we take to find sustenance and the relationships that affects in its course. 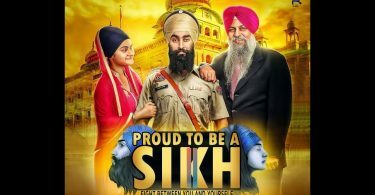 Directed by Atanu Ghosh and starring, Soumitra Chattopadhyay, Prosenjit Chatterjee, Indrani Halder among others, the film covers a range of the themes and explores it with nuance and humor which is so rare in Indian movies. Most of them get bogged in melodramatics, but Mayuraskhi proceeds on its own pace, accumulating wisdom and the lessons of life that we might know but never face ourselves. It is also supported by one of the best portrayals of father and son relationships this year. 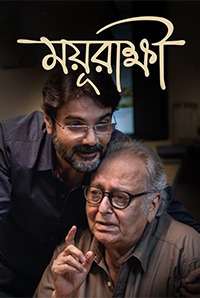 Aryanil (Prosenjit Chatterjee), is facing some difficult issues in his life, and when he decides to visit his very old father, Sushovan (Soumitra Chattopadhyay) he will need to face many familiar people he had forgotten, and memories of his early life. He meets people whom he had a deep connection, but as life went on, he forgot, like a woman whom he develops a very tender relationship, even though he doesn’t transgress his boundaries. More importantly, he reconnects with his father, whom he really cares for, and as Sushovan’s health worsens, their relationship gains a heartbreaking gravity that holds the movie together. The performances from the cast is equally nuacned and affecting, however, nothing more can be said about the central pair of actors, Soumitra Chattopadhyay and Prosenjit Chatterjee, who make us believe in everything they say and do. There’s no doubt in our mind that we are seeing two actors speaking dialogues from a script. The direction by Atanu Ghosh is also noteworthy, understated but also very distinctive. Movies like Mayurakshi hardly ever become breakout super hits, but they deserve to be seen as much as any cinema, and people should seek out this movie because of its simple, heart wrenching beauty.